This pipeline is a collection of steps that can be used to process a single subject's resting state data from raw into a node based correlation matrix representing connectivity between different regions of the brain. this from input image, if available. is .08hz. highpass is fixed at .001hz. the full signal, like regression, etc. volumes, should also be excluded. Default is 0. --fdthreshold=THRESH  If specified, this reprsents a FD threshold in mm. volumes, should also be excluded. Default is 1.
thresholds must be exceeded to be excluded. error. Default is to have no minimum. to 0.6. Algorithm from Tomasi et al, PNAS(2010), vol. --cleanup             delete files from intermediate steps? this step take the input bxh/nifti and changes the orientation of the data into LAS, then converts the data into niigz. this will apply the previously determined flirt matrix to your functional data instead of trying to calculate a new matrix based on the functionals. the matrix from pre-stats was likely calculated using a high-resolution anatomical, also this will assure that your resting state runs are in the same space as the other runs from your subject. 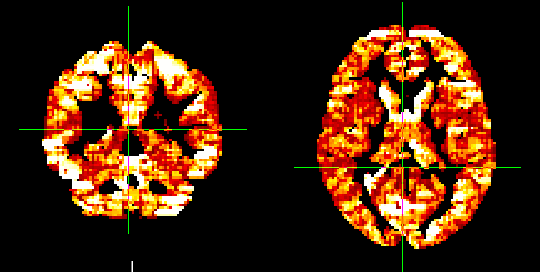 this step will take the white matter and csf masks generated by FAST and regress out the signal from the functional data using the same method as the motion paramters. since they are saved as nifti, then can be loaded into fslview. this is loaded through the Atlas Toolbar, the atlas is installed on the cluster, but it can be provided with instructions to install elsewhere. if you want to provide your own label file, the –corrlabel option can be used. The input to this step would be a 3D image of ROIs the same size as your normalized data. Each individual ROI needs to have a unique intensity value for the timecourse extraction ( ie: 5 ROIs with intergers as values from 1-5 ). statistic type to display ( zrvalue or rvalue ). if you've already pre-processed your data, then you may only need steps 5,6,7 … please provide the –steps flag as needed. One method group analysis could be done using Monte-Carlo permutation testing with FSL's randomise . 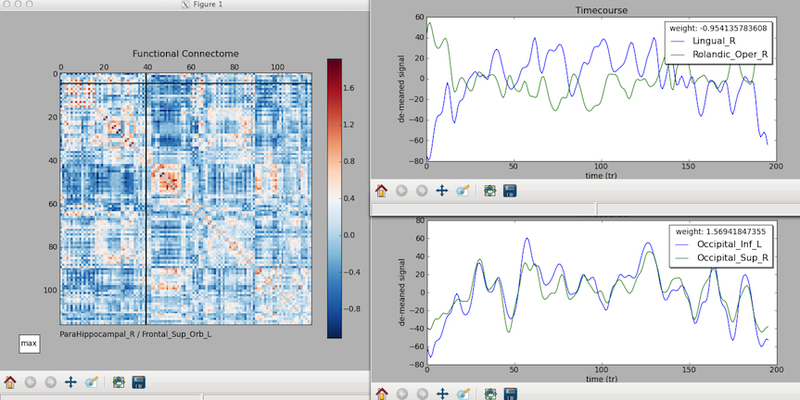 Your results will be the same correlation matrix size, but now will represent corrected p-values of the connectivity. To do something more complicated ( group differences, other regressions ), please create a design matrix and contrasts file using FSL's Glm gui. this will look identical to creating a 3rd-level design matrix through the feat gui. Below is a snapshot of a simple 2-group model designed with the Glm wizard. Now, within randomise you need to input the .mat and .con files instead of “-1” to produce your contrasts. If using the cluster, you can turn on “fsl_sub” with export FSLSUBMIT=1, then use randomise_parallel, which will run all the permutations simultaneously. 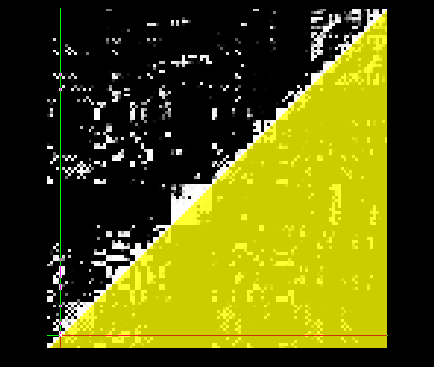 Program to convert the 2D correlation matrix to a graphml file which can be used with graph-theory packages. Generates a graphy-theroy 2D graph with nodes/edges above a certain threshold. Communities are colored by a Louvian algorithm. Clicking a specific node with produce another graph containing only nodes that are directly connected to the area selected.